This rare volume is a collection of some of Queen's best, containing three novelettes and two short stories. The stories include "The Death of Don Juan", "The Wrightsville Heirs", "The Case Against Carroll", "E = Murder", and "Diamonds in Paradise". 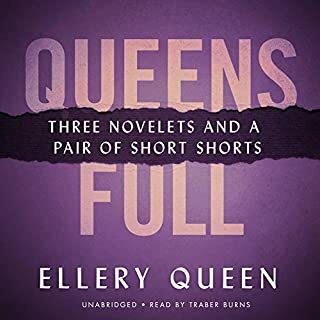 Ellery Queen stars in all of them, making this collection a must-listen for mystery fans. 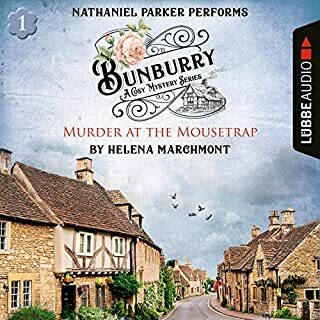 Queen's Bureau of Investigation is now open for business - and in each department of this new enterprise Ellery finds ample opportunity to exercise the brilliant, ingenious, and at times startling talents of his crime-lab mind. For to the bureau come some of the most plaguey cases in Queen's career. Let Ellery Queen clue you in on his special brand of high tension, brain-teasing mystery! This collection consists of novelettes and short stories from Queen's many escapades. In these ripping short stories, the mystery genre's greatest sleuth shows his chops. For Ellery Queen, there is no puzzle that reason cannot solve. In his time, he has faced down killers, thugs, and thieves, protected only by the might of his brain - and the odd bit of timely intervention by his father, a burly New York police inspector. But when a university professor asks Queen to teach a class, the detective finds there are people whom reason cannot touch: college students. Queen's adventure on campus is only the first of this incomparable collection of short mysteries. 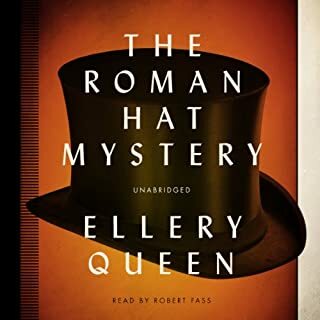 In this audio, he tangles with a violent book thief, an assassin who targets acrobats, and New York's only cleanly shaven bearded lady. Criminals everywhere fear him, whether they work in mansions or back alleys. No mystery is too difficult for the man with the golden brain. This story collection includes "The African Traveler", "The Mad Tea-Party", "The Seven Black Cats", "The Hanging Acrobat", "The Two-Headed Dog", "The One-Penny Black", "The Bearded Lady", "The Three Lame Men", "The Invisible Lover", "The Teakwood Case", and "The Glass-Domed Clock". ©1933, 1934 Ellery Queen. © renewed by Ellery Queen. 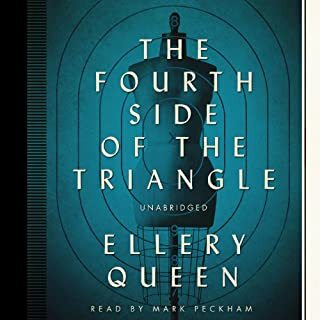 (P)2015 Blackstone Audio, Inc.
Ellery Queen is one of the giants of the Golden Age of detective fiction. 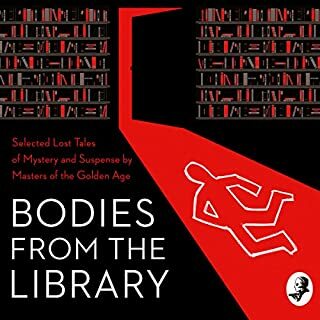 This is a collection of masterful short stories, ranging widely from the macabre to the whimsical, all written with Queen's easy erudition, all with amazing twists yet perfectly logical. The only disappointment is the narrator, who is not only overdramatic but also seems not quite equal to the level of the writing. Still well worth a listen. 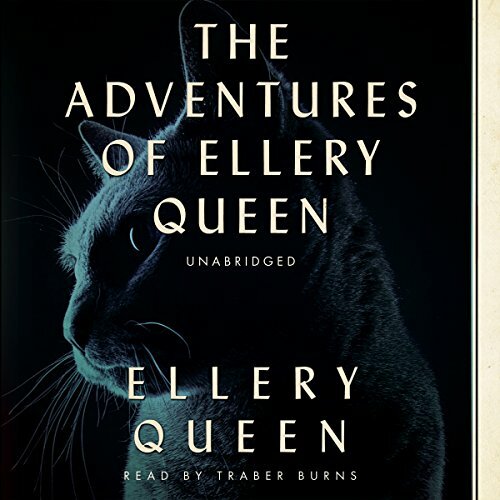 Would you try another book written by Ellery Queen or narrated by Traber Burns? I would not have another Ellery Queen. 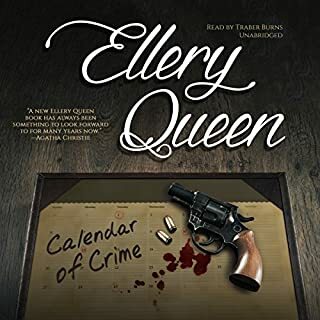 What could Ellery Queen have done to make this a more enjoyable book for you? I found the stories slight. The sexism and racism is pretty foul, even for a book of that period. Would you listen to another book narrated by Traber Burns?